Every athlete has thought it and so have most coaches. Getting back to the water seems so far away. But surviving the winter can be accomplished with three simple words. These may not be the end all be all of surviving the winter, but after a few years and a few conversations with some guys that know a little bit about rowing, it all boils down to these three things. 1. Have a Specific Plan. Everyone needs to approach the winter season with a plan. Most coaches do a great job of laying out a schedule with a plan for the winter season. They know what workouts will be and what they want to accomplish. However, I have observed that what separates the good coaches from the great coaches, is how they execute their plan. While good coaches have a plan, the great coaches share their plan and strategy with each of their athletes. Some coaches share the plan to the group and sometimes it is shared individually. Regardless, sharing what the plan is, and why it is the plan allows the athletes to understand where they are headed, and leads directly to #2 – Goals. Seems obvious, right? What is the team goal? What is the athletes goal? Do they align? Effectively executing on your plan is easily accomplished with ongoing communication between coaches and athletes and specific goals. Accomplishing goals, regardless of whether they are team or individual goals, becomes more achievable when you lay them out in increments. While visiting an erg room a few winters ago, I was reading over a teams “2000m goal board”. Some of the names had the first, or first and second numbers with big “X”‘s through them. So I had to ask. demoralizing. So he worked on an incremental strategy. Each athlete had a long term goal, but a specific and more achievable short term goal as well. The point here is that specific and incremental goals helped this coach to get his athletes through the winter season without burning them out. There are many articles about the importance of rest, so I don’t need to blabber on here about the benefits of rest to supplement a good workout program. The main point is to have some scheduled rest as part of the winter training season to avoid the later winter burnout. 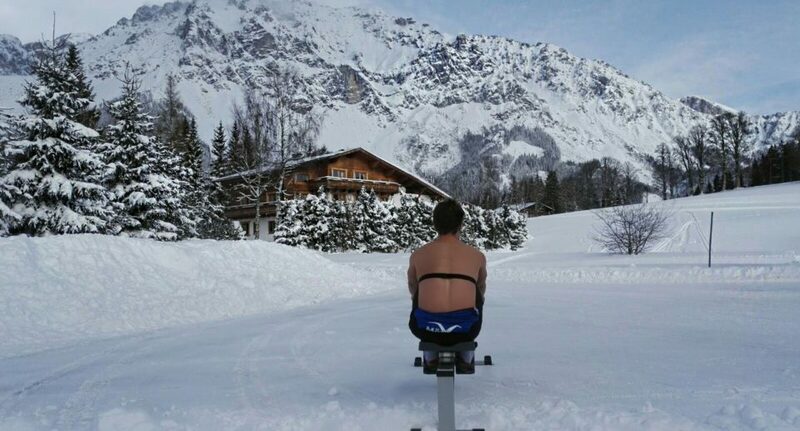 Winter is here and erg season has started. Have a plan. Survive the winter.